Returning to headline The High Watt on June 26, after passing through last fall to co-headline a show with !! !, Atlanta’s Algiers are a profoundly artistic, socially urgent, refreshing and genre-bending project that should be on everyone’s radar. This time around, the group perform with Knoxville experimental artist Lower Interiors, as well as likeminded local experimental/dark pop project Lambda Celsius, a stacked and well-matched trio of performers that offer up one of the most unique and boundary-pushing bills of the season. Tickets are still available here, but we’re excited to announce that we’re also giving away a pair of tickets to one lucky fan! Read on for more about the show, and enter for a chance to win below. Winner will be announced Friday, June 22 at 8 a.m. CDT, and will receive one pair of tickets. Good luck! 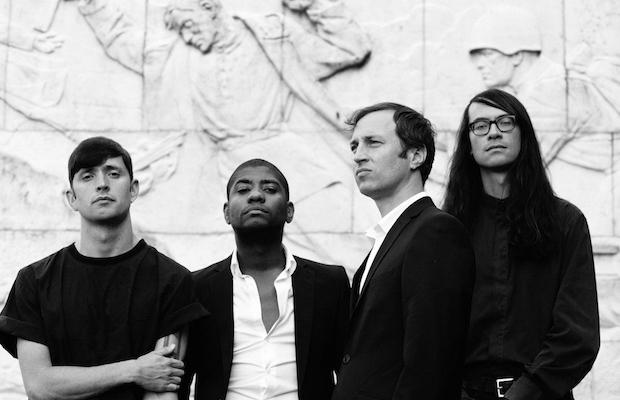 Win Tix to Algiers at The High Watt! Algiers, Lower Interiors, and Lambda Celsius will perform Tuesday, June 26 at The High Watt. The show is 18+, begins at 8 p.m. (doors at 7 p.m.), and tickets are available to purchase for $15.